The Kargil Vijay Divas, it's that great day when our brave armed forces enabled India to successfully take back command of the high outposts which were lost to Pakistani intruders earlier. The Kargil war was fought for about two months resulting in loss of life of thousands of soldiers. More than 525 brave soldiers from Indian Armed Forces sacrificed their lives for this victory, for India, for us. Let's try to relive some of the moments during Kargil War by reading about them. 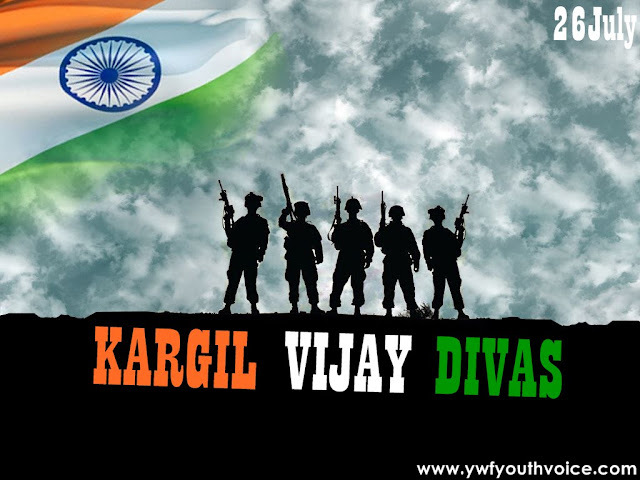 The Kargil Vijay Divas, it's that great day when our brave armed forces enabled India to successfully take back command of the high outposts which were lost to Pakistani intruders earlier. 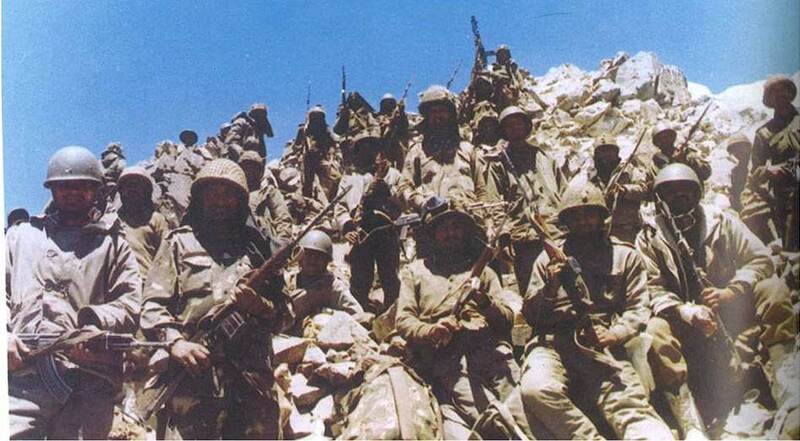 The Kargil war was fought for about two months resulting in loss of life of thousands of soldiers. More than 525 brave soldiers from Indian Armed Forces sacrificed their lives for this victory, for India, for us. 1. On 3rd May 1999, local Indian shepherds reported intrusion of Pakistanis in the Kargil. By May 10, infiltration of Pakistani soldiers were also noticed in Dras, Kaksar and Mushkoh sectors. 2. 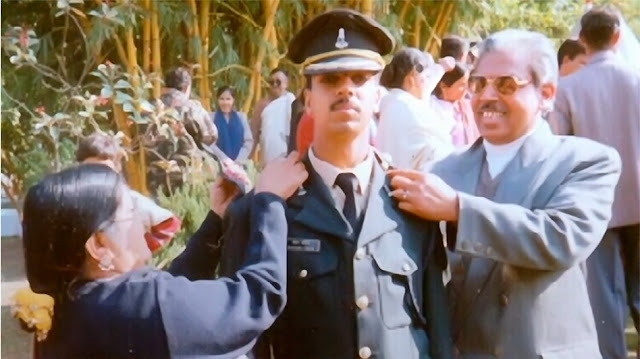 A large scale intrusion of Pakistani Army was discovered by an Indian Army patrol lead by Lt Saurabh Kalia on May 15. That patrolling troupe consisting of just six soldiers fought with the Pakistani armed forces until they ran out of ammunition, got captured and then were tortured to death. Soon after, India responded with Operation Vijay, mobilizing close to thirty thousand soldiers and paramilitary forces to the Kargil-Drass sector. 3. By May 26, the Indian Air Force began taking an active part in the war, launched air strikes against infiltrators, losing many fighter aircrafts and men but continued to support the Indian response through Operation Safed Sagar.Meanwhile The Indian Navy launched Operation Talwar to block Karachi port to cut off Pakistan’s supply lines through the marine route. 4. 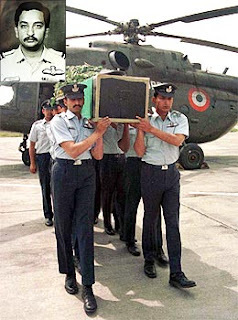 On May 27, Pakistan captured Flight Lt Nachiketa as a POW. Squadron Leader Ajay Ahuja tried to locate Nachiketa but got martyred at the hands of the Pakistani forces. 5. On June 1, Pakistan bombed NH1A, the lifeline route connecting the Leh region to the rest of India. India resorted to using NH1D through Himachal to avoid further casualties. 6. By June 9, Indian Army soldiers successfully recaptured two key positions in the Batalic sector. 7. 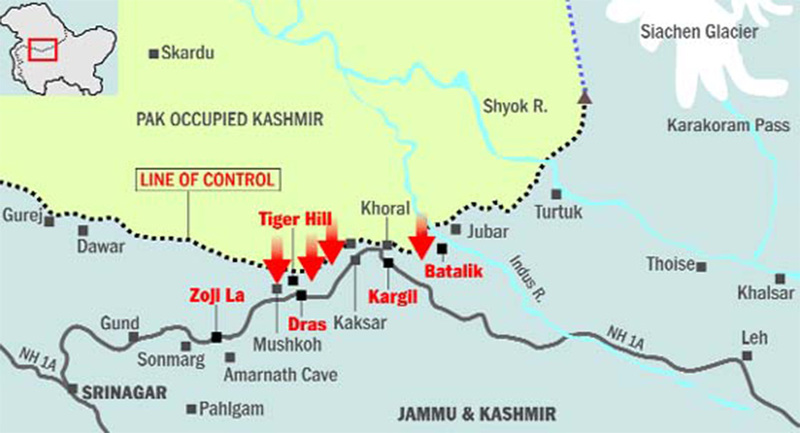 By June 13, Indian Army successfully recaptured Tololing in Dras, significantly turning the result in India’s favour. 8. 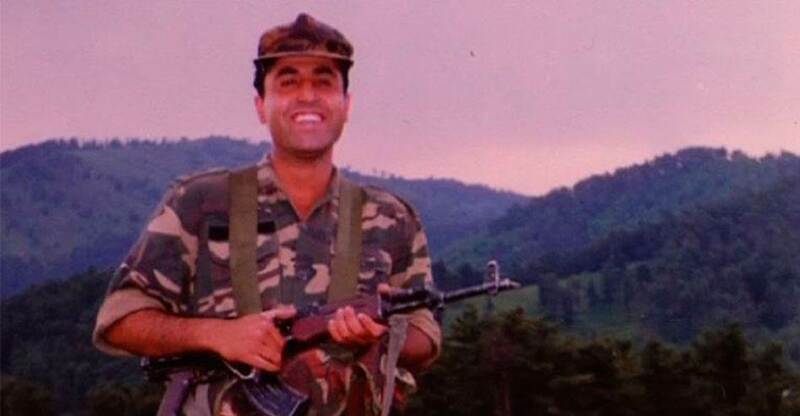 On July 7, Captain Vikram Batra was martyred while trying to rescue an injured officer and got shot by enemy's gunfire. India recaptured Jubar Heights in Batalik. 9. Over the next three weeks, Indian soldiers continued to gain important positions. U.S. President Bill Clinton, in a telephonic conversation, asks Pakistani Prime Minister Nawaz Sharif to pull out from Kargil. The fierce Indian response and mounting international pressure forced Pakistan to move back their troops from the Indian side of the LOC. 10. 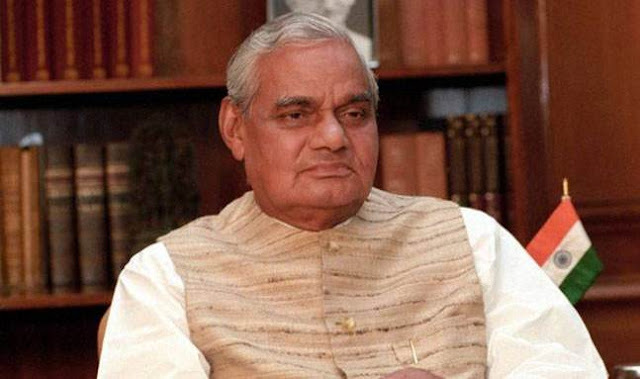 On July 14, the Indian Prime Minister - Atal Bihari Vajpayee declared Operation Vijay to be successful. 11. On 26 July 1999, the Kargil war at last officially came to an end when Indian Army announced complete eviction of Pakistani forces. 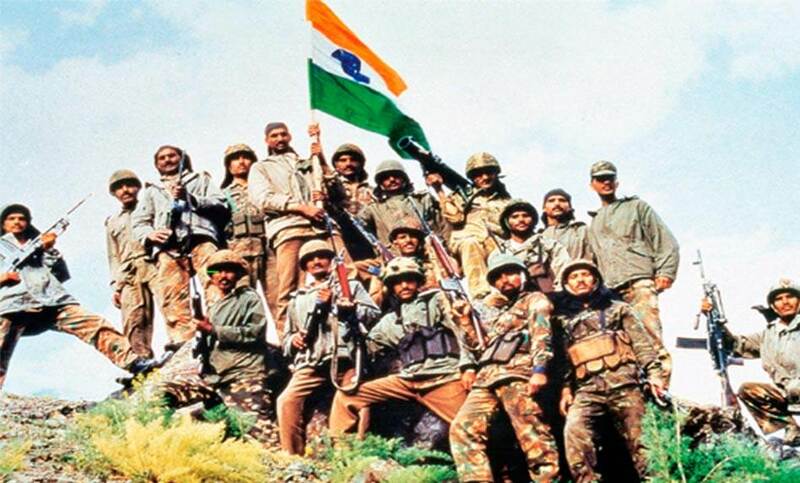 Finally the Kargil conflict was over thanx to our real heroes, the defense forces of India. We salute these lionheart Indian warriors who were fighting for the nation with their lives at stake. We will always be thankful to you, we will always remember you, we love you. Everyone please share the story of these brave-hearts as much as you can.